In addition to tire brand and models marked on tire sidewalls, you have probably also noticed series of numbers and letters. Whether you have no idea what these labels mean or if you are looking for a refresher, you are in the right place. For now we are just going to focus on the numbers that tell us about the tire size. We will cover tire ratings and season types in another article. Shops and tire suppliers will replace your tires with the correct size, but it can still be helpful to understand sizing to assist with getting pricing online and by phone. This guide will be so simple that you will be comfortable calling for a quote on for your needed tire size today. 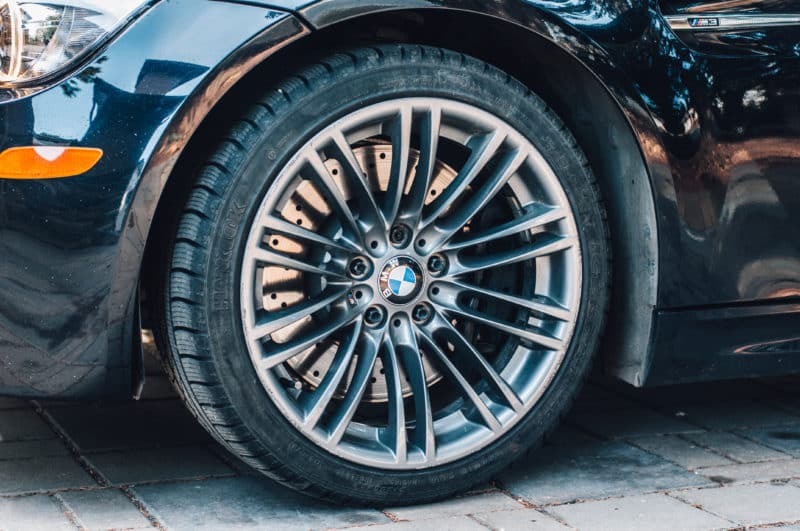 Tire sizes can be found on the sidewall of your tires as well as on the “tire and loading information” sticker on the inside of the driver door frame. If you or a previous owner have installed different wheels on the vehicle, the size on the tires may differ from the size on the sticker. There is a lot of information on tire sidewalls, but the information we are looking for will always be in a similar format as the picture below. The tire sizing on the picture below is P245/45 R20. See if you can spot it near the top of the picture. The first letter in this series simply tells us what type the tire is. In this case we are looking at the “P” in P245/45 R20. The “P” stands for “passenger” and you will find it on most car and SUV tires. If the tire has an “LT” instead that means it is a “light truck” tire. You will see these on many trucks, large SUVs, and cargo vans. Some tires may not have a letter designation at the beginning which means it is Euro-metric tire and may have a different load capacity than it’s “P” counterpart, but this is rare in North America. The 3-digit number tells us the width of the tire. This is a measurement of the distance across the tire tread and is shown in millimeters. The tire we are examining is 245 millimeters from sidewall to sidewall. Wider tires are typically found on larger vehicles and performance vehicles that can benefit from extra traction. The next number measures the distance from the edge of the rim to the tread as a percentage of the tire width. For the P245/45 R20 tire that we have been looking at, the aspect ratio is 45%, meaning that the height of the tire sidewall is equal to 45% of the tire width. Often performance cars will have lower profile tires than typical vehicles. Lower profile tires can provide better steering response and cornering traction, but they can sacrifice ride comfort in the process. The final section tells us the tire construction and wheel size that it is meant for. The “R” stands for “radial” which simply means that the tire is constructed of layers running radially across the tire. Most modern tires are of radial construction. The two digit number that follows is the diameter for the wheel or rim that the tire is meant to fit on. It is measured in inches, so our P245/45 R20 tire fits on 20” rims. Unsurprisingly, larger tires are typically more expensive than comparable smaller tires. This is due to the additional material needed to manufacture the tire. Installation of larger tires on larger wheels also takes longer. Lower profile tires (tires with a lower aspect ratio) are typically more expensive as well, as their sidewalls are much stiffer. 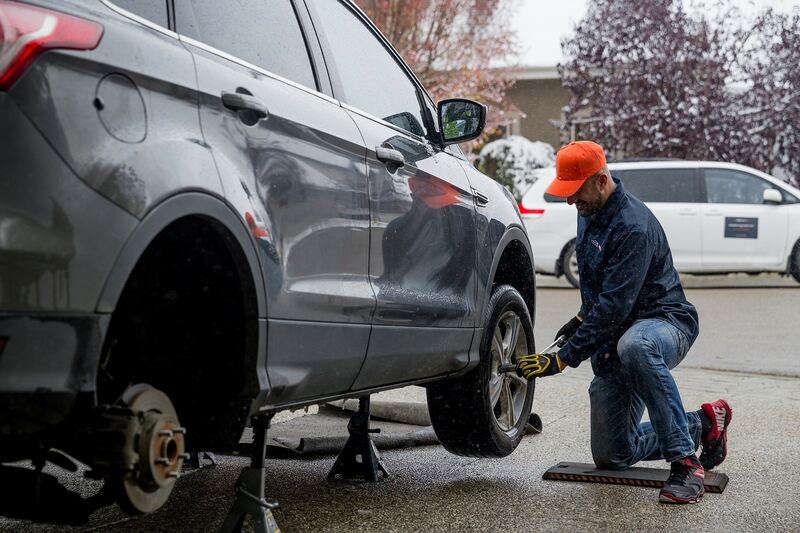 Installation is also more difficult as there is less sidewall surface area while removing and installing the tires. Mid range tire sizes are also more common than more extreme tires sizes so it is often easier to find a good deal on popular tire sizes. 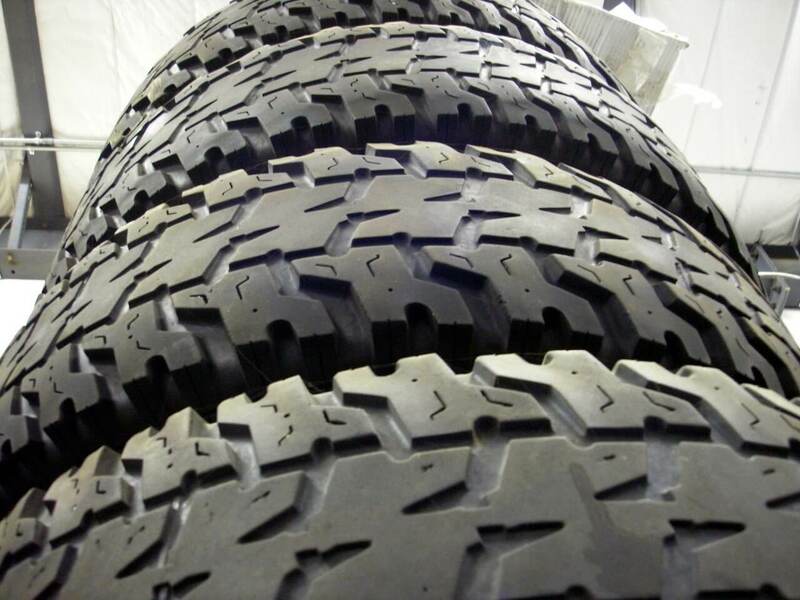 Even within tire size ranges there is a wide variance in price depending on brand which is why instaMek always provides multiple price point options. Give us a call today with your tire size for a free quote with mobile service.